"You must show love, even when love is not shown." Blind Love, set in London at the end of the 19th Century, follows the love affair of Lucy, the blind daughter of an aristocratic couple, and Aaron, the neglected son of a widowed Lord. From first meeting, to first kiss, and beyond, Blind Love asks questions about one's identity and coming to terms with who you are, as well as what it means to love in a world built on a foundation of hate. As the two lovers face heartbreak at home, they find hope in each other, and the power to persevere when all seems lost. The development process of Blind Love has been a long journey that is still happening today, filled with fun surprises and new growth around every corner. 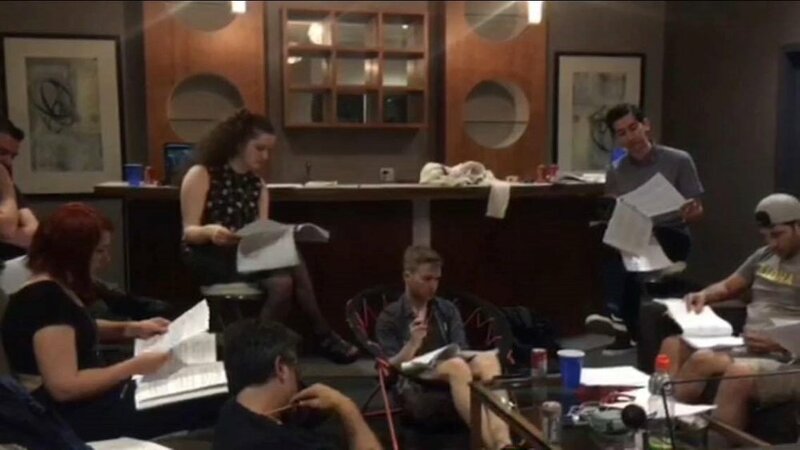 From the very first table read and demo recording in 2012, Blind Love has gone through many iterations with various song, character, and plot shake ups. This year Blind Love has had three private readings, the most recent one being on February 4th 2018 in Vancouver, BC.